Yes, that was an audible gasp. Which is exactly what I did whilst chatting with my local Starbucks barista this past weekend when she informed me that they would no longer be serving their delectable pumpkin scones during the fall months. I am still in denial. No more moist, all-spicy goodness that I allow as a breakfast food even though it’s closer to a dessert? No, my Sbux wouldn’t do that to me. But, if this is indeed the case, I need to have a back-up plan in place in the form of a homemade version. After doing a quick Google search, I realized local food blogger, Kristin of Iowa Girl Eats, has a clone recipe on her site. Perfect! In the mood for a little early pumpkin treat? Starbucks is releasing its’ Pumpkin Spice Latte for customers who have done a little leg work. After decoding the clues and figuring out the secret code via The Real PSL site, you can put #PSL back on the menu at your local Starbys today. 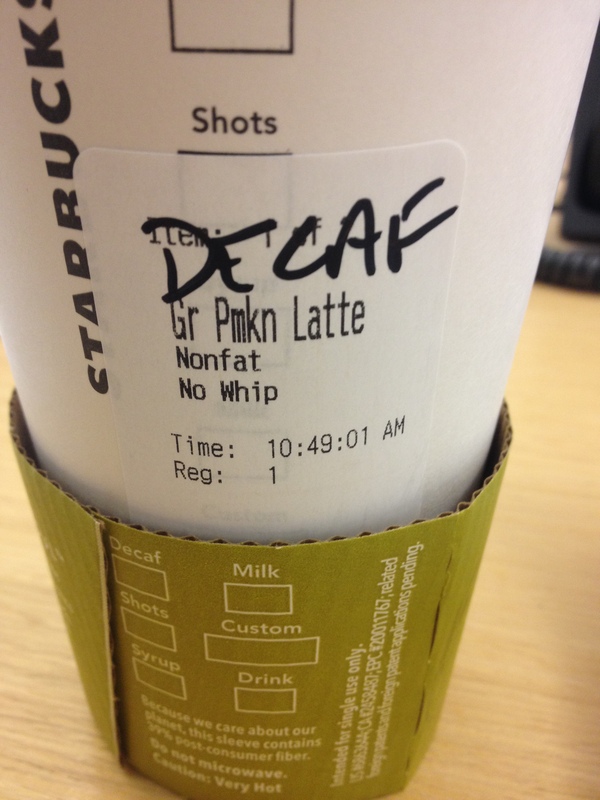 This entry was posted in Recipes and tagged Iowa Girl Eats, Pumpkin Scone, Pumpkin Spice Latte, Starbucks. Bookmark the permalink.